The Reserve Bank of Fiji believes the ongoing rebalancing or growth transition in China will not just impact the region but Fiji as well. RBF Chief Manager Economics and acting Deputy Governor, Caroline Waqabaca, highlighted this yesterday. She said one of the repercussions of China’s slowdown through lower trading partner demand will impact Fiji negatively. “Our growing trade with China implies we could feel some direct impact through lower trade, tourism and investment flows,” Ms Waqabaca said. But all is not gloom as she said given China’s transition to a consumption-based and services-driven economy, Fiji could stand to gain more. This, she said was as our local tourism sector – an important catalyst for growth in the economy – transitions to meet the high-quality and high-value taste of the Chinese consumer. China is now in the midst of a fundamental transformation as growth had been slowing since 2012. Overall, China’s import volume growth has softened as the overall economy has slowed and this trend is likely to continue. The current rebalancing or growth transition in China involved not only lower growth but also a shift from heavy industry and construction. The shift is to more advanced manufacturing and services in production and from investment and export to consumption in final demand. Despite the projections, Ms Waqabaca stressed we continue to see a growing importance of China to Fiji. “Fiji’s total goods trade with China as a share of overall trade almost doubled from six per cent in 2012 to over 10 per cent in 2014,” she said. “China’s contribution to tourism has also grown and now almost equal that of Pacific Islands, at five per cent of total arrivals and three per cent of total tourist earnings in 2015. Meanwhile, the International Monetary Fund has projected a GDP growth of 2.5 per cent for Fiji this year. Ms Waqabaca said the RBF noted the projections by the fund were broadly aligned with the central bank’s internal assessments. 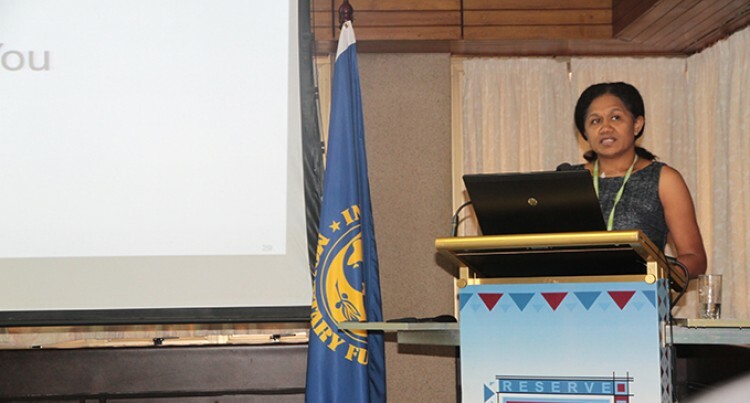 “RBF’s latest assessment of the economy reveals that, notwithstanding the negative impact of the recent natural disaster, Fiji’s macroeconomic situation and outlook remains positive and stable,” he said. She added the impact from lower oil prices has already been seen and is expected to continue this year through lower oil imports and reduced domestic costs for fuel, transportation and other related items.